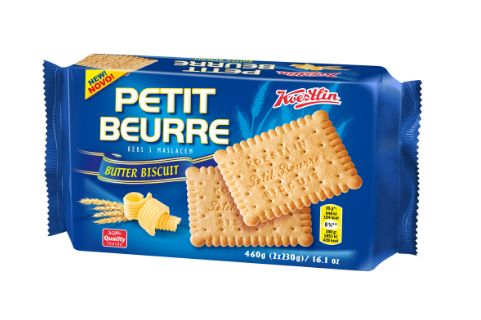 These butter biscuits can be served as a meal, a snack offered with a hot beverage or used as an ingredient in desserts. WHEAT flour, sugar, butter 7% (from MILK), palm fat, raising agents: ammonium carbonates and sodium carbonates; powdered whey (from MILK), salt, acidity regulator: diphosphates, flavourings. May contain soya, peanut and nuts.